Sun tanning helps everyone look better with a glow that speaks of healthy and sun-kissed skin. Well-tanned skin also looks beautiful and makes you more attractive. Almost all models, actors, and superstars always sport a gorgeous tan that makes them look like heartthrobs. It’s no secret that too much exposure to the sun is harmful to our health and skin. After all, the skin is the first thing to look bad. Too much exposure to sun and sunlight makes the skin looked aged, wrinkled, burnt and causes health complications. Self-tanning helps in avoiding the harmful effects of the sun while getting the same tan. We are here today to give our readers a rounded exposure to the subject of skin tanning, why it is crucial, and which products are the best in the market for self-tanning. There are multiple products available in the market, and it becomes difficult to choose from so many options. Below, you will find our selection of the best self-tanning products. These are selected by trial and errors done with our team. Out of all the self-tanning creams, gels, mousses, lotions, milk, spray tanners, and masks, we have compiled a list of which products we feel are the best. This list starts from products available at the lowest price points and gradually increases in cost to give you a detailed understanding of which products are the best in quality. Remember, tanning lotions can clog your pores and cause breakouts, find a good acne face wash to clear your skin. What is self-tanning and how does it work? Self-tanning is the process of using a product to tan your skin. These products are available in a plethora of options like creams, gels, sprays, lotions, and so on. Self-tanning is also called airbrush tanning, sunless tanning, fake tanning, and spray tanning. Self-tanning helps achieve a skin tan that seems like you’ve spent hours in the sun giving that golden-bronze look. Products used in self-tanning contain the ingredient DHA that contains simple sugars. This sugar interacts with the amino acids in our bodies to create golden-bronze compounds that make the skin look tanned. Earlier people would prefer tanning parlors or tanning beds, but they soon realized the harmful effects of UV radiation on the skin. These UV treatments may cause age spots, fine lines, wrinkled and older look skin, and in some cases, it might also be the primary cause of skin cancer. Self-tanning helps you look better without the harmful effects of UV radiation from the sun. With advancements in technology since the era of tanning beds, most of the products available today smell great and do not give off an unearthly orange color like the previous. Thanks to the technology present now, skin starts to react with the self-tanning products within a couple of hours. Most of the results last between 3 days to a week. If you want to find the best outdoor tanning lotions see our review. If you want to save costs on going to a tanning salon and get better results by doing it yourself, then let us get into it. 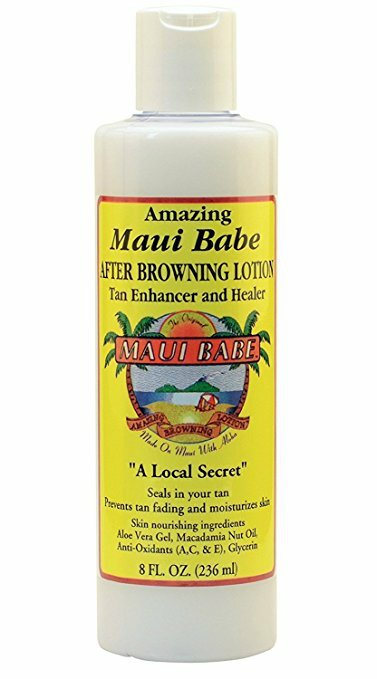 The Maui Babe Browning Lotion is one of our favorite low price point self-tanners. 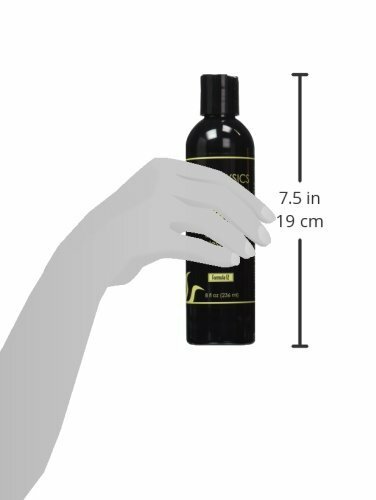 It comes in an easy application bottle and can be opened easily. It contains favored Hawaiian ingredients like light mineral oil, antioxidant vitamins A, C, and E, Kukui nut oil, and extract of the Kona Coffee plant that imparts color. 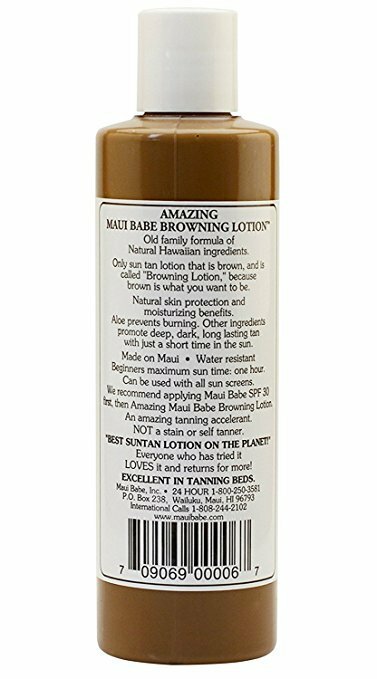 The Maui Browning Lotion also contains aloe to protect and nourish the skin from any adverse effects. All these ingredients come together to provide an all-natural method of self-tanning with a few sittings in the sun. 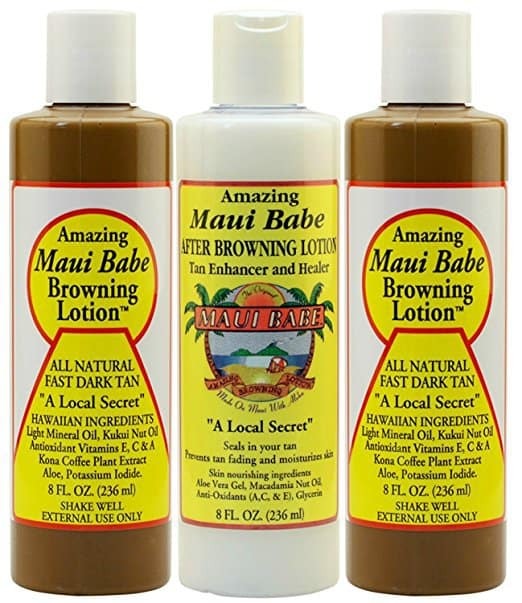 The Maui Babe Browning Lotion works dually by being natural and using the favorable effects of the sun to trigger the tanning process. This lotion is designed to work on all skin types and also works on fair and sensitive skin to give optimum results. People wishing to use this might want to apply a thin layer of sunscreen to protect the skin from reddening. 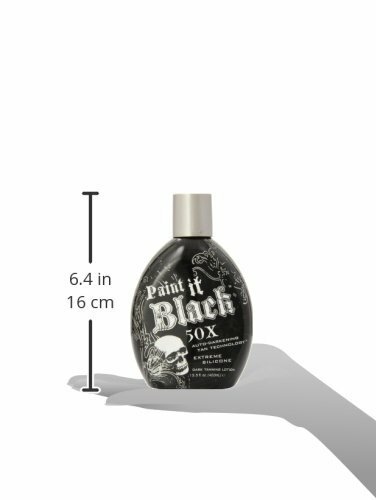 The new Millenium Tanning Paint It Black 50X has an auto-darkening lotion with a formula that is 50 times stronger than the earlier ones. It is produced keeping in mind the need to have a dark and long-lasting tan. Useful for all skin types, the performance of the Millenium 50X self-tanner is one that stays the longest and makes the skin silky soft. It has a fresh fragrance that is reminiscent of cotton blossoms and is pleasant to the nose. 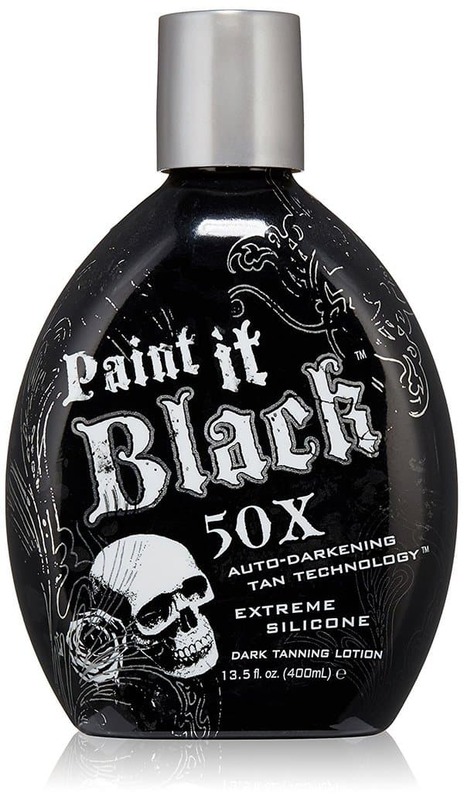 One of the plus points of the Millenium Tanning Paint It Black 50X is that it also doubles up as a skin firming lotion. Available in 13.5 fl. Oz or 400 ml, this self-tanner can be used multiple times depending on skin or spot coverage required. The smooth silicone formula makes application of the product easy on the skin with moisturizing properties that last all day long making the skin feel baby soft. Tan Overnight Self-Tanning Lotion is made with a blend of natural ingredients that promote elasticity and suppleness of the skin. This product also hydrates, moisturizes, and revitalizes the skin. It has excellent nourishing properties as is paraben-free. 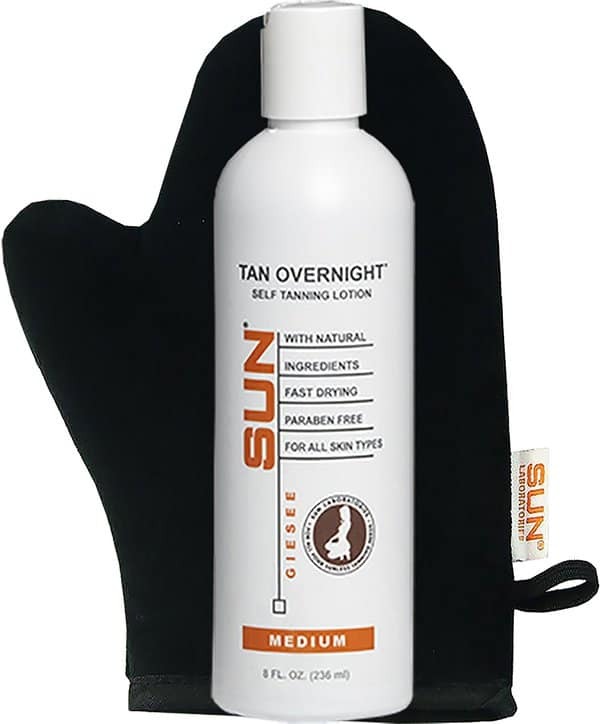 The Tan Overnight Self-Tanning Lotion from Sun Laboratories is an overnight lotion that gives a luxurious, long-lasting bronzed look to the skin. This lotion helps make the tanning process a safe one since it is an indoor process and does not rely on the harmful effects of the sun. While applying this lotion, use a small amount of body lotion to the knees, elbows, and knuckles since the skin on these areas is dryer than other areas on the body. Dry skin absorbs more of the Tan Overnight Lotion, and these areas might become darker without a body lotion barrier. You can leave this lotion on for 8 hours or overnight for best results and then shower. The product continues to develop even after the 8-hour period. 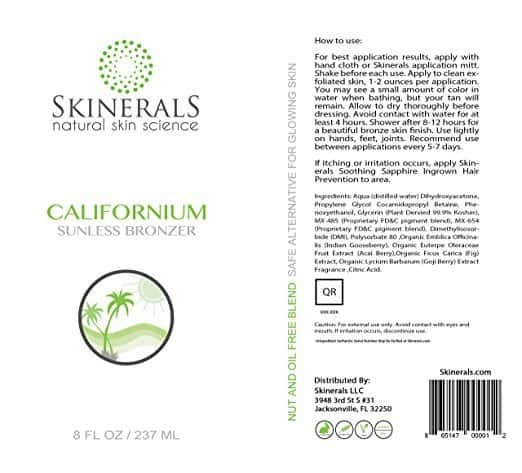 The Skinerals Self Tanner Sunless Bronzer Californium uses natural and organic ingredients as replacements to non-organic ones whenever possible. It contains water, glycerin, organic Indian gooseberry, organic Acai berry, organic Fig extract, organic Goji berry, and citric acid among other ingredients to give your skin a beautiful sun-kissed glow. This product has to be applied to cleaned and exfoliated skin for best results. 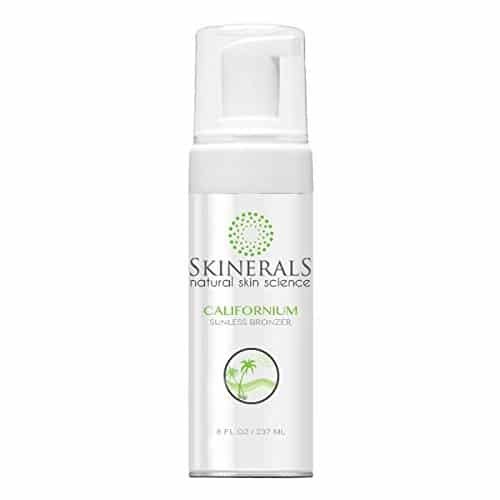 Shake the Skinerals Self Tanner Sunless Bronzer Californium bottle well before use and apply lightly to the body with little product on the feet, hands, and joints to avoid discoloration. Leave on for 8 hours to get an even-toned tan across the skin. A small amount of color will bleed while showering, but the tan will remain even after the color washes off for about 5 to 7 days from first application. Skinerals is very concerned with skin health and safety and donates a portion of every product sold towards skin cancer research for healthier and better skin. The gorgeous Ed Hardy Coconut Kisses Golden Tanning Lotion comes in a brown and black bottle of 400ml. 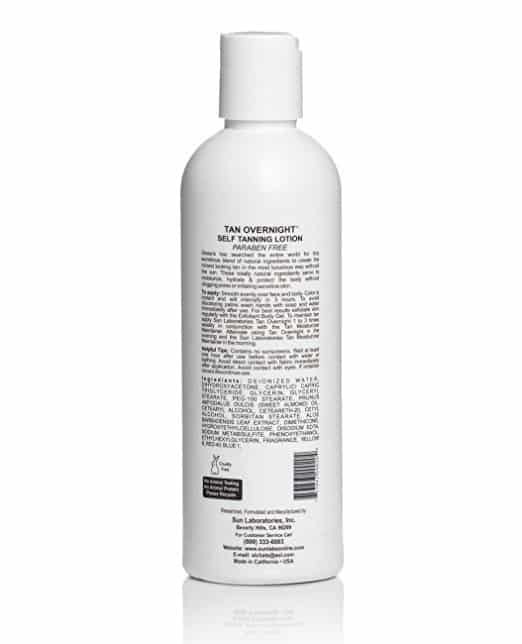 This lotion imparts a beautiful golden tan to the skin with the help of coconut milk and coconut oil. 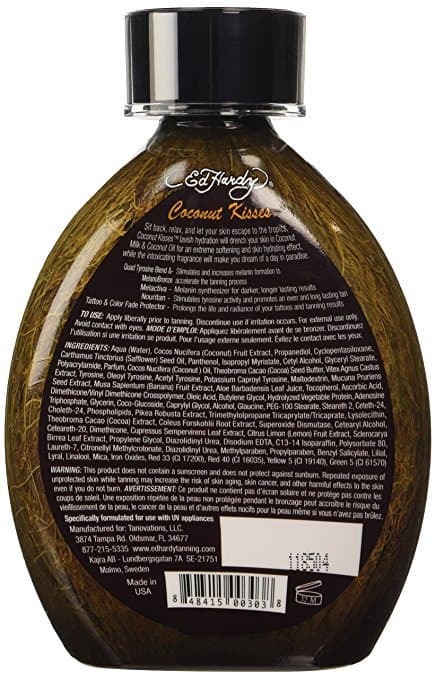 The Coconut Kisses Lotion contains Melactiva to synthesize melanin for longer and darker results than other self-tanners. It also includes Quad Tyrosine Blends and MelanoBronzers that increase, stimulate, and accelerate the tanning process. 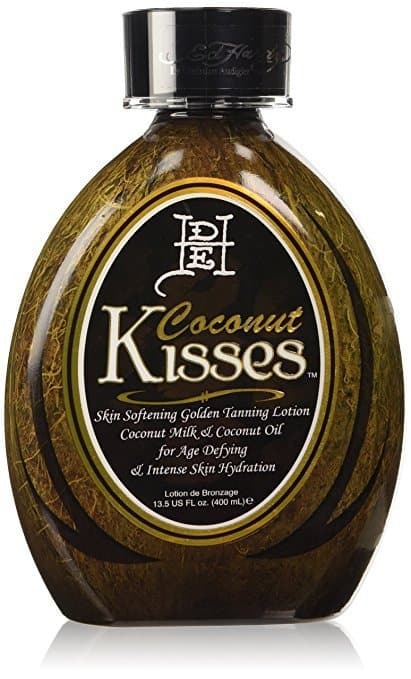 Another plus point about the Ed Hardy Coconut Kisses Golden Tanning Lotion is that it helps in reducing the appearance of cellulite masses on the skin and promotes firmness of the skin to make it look and feel younger. The coconut milk and coconut oil hydrate, nourish, and moisturize the skin while the coconut fragrance gives the feeling of sipping coconut cocktails on the beach. This lotion also comes with a tattoo and color fade protector to prolong the life of tattoos and make them look radiant against freshly bronzed skin. The Tanceuticals Self Tanner CC is known for its color and correcting properties to the skin. This formula holds the record for avoiding tan streaks and orange pigments that discolor the skin. 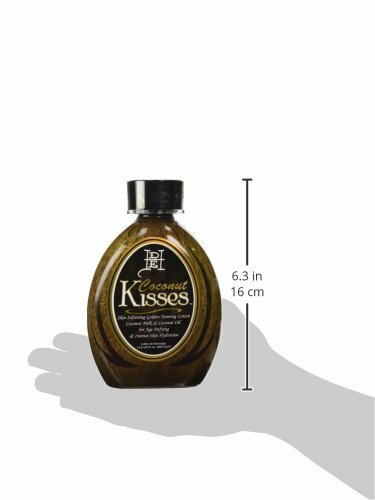 Like the Ed Hardy Coconut Kisses, this product also has a beautiful coconut fragrance that eliminates all odors associated with self-tanners. This smooth tanner blends quickly and includes a quick-drying formula that doesn’t rub off on clothes and bed sheets. The Tanceuticals Self Tanner CC is made up of healthy cosmeceutical ingredients like Mango Butter, Acai Berry, and Vitamin E to promote more youthful quality and appearance of skin to make it feel soft and supple. This product is widely used by men and women and is the favored self-tanning lotion of many celebrities, singers, and reality TV anchors. 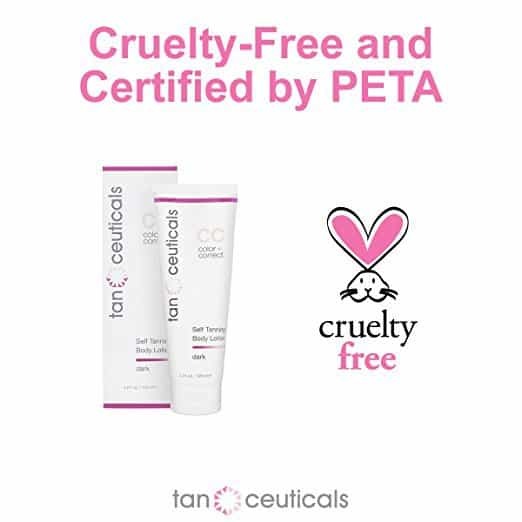 The Tanceuticals CC does not contain parabens or mineral oils and is a vegan lotion that is certified cruelty-free by PETA. 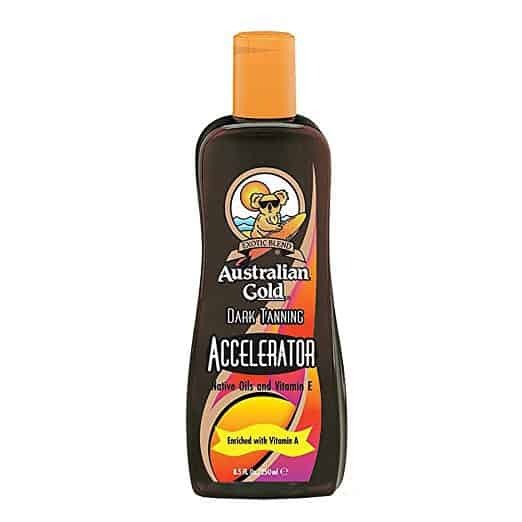 The Australian Gold Tanning Accelerator Lotion is a tanning favorite as a self-tanner. Australian Gold is known for quality tanning products at reasonable price points. 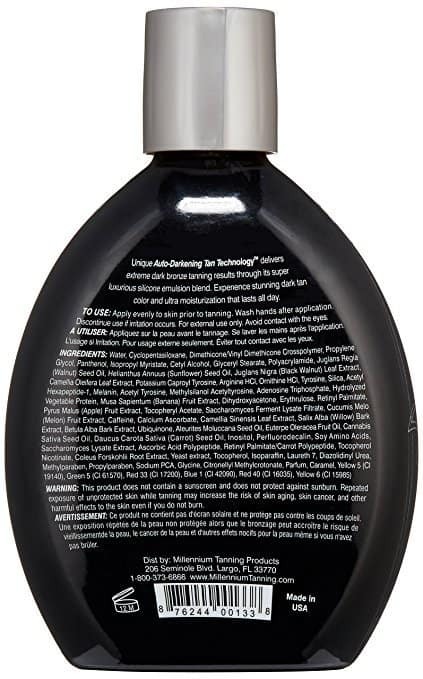 Containing essential oils, botanical essences like Tea Tree Oil, Olive Oil, Panthenol, Vitamins A and E, this tanning lotion is excellent for people preferring a deep tan. A plus point of this product is that it can be used with sunscreen while tanning outdoors to give an in-depth bronzed look to the skin. The Australian Gold Dark Tanning Accelerator Lotion is known for its fast acting properties and comes in a 250ml bottle for ease of use. The Gold Dark is one of the few self-tanning lotions that work excellently on all skin types for a beautiful golden bronzed look. This Gold Dark lotion also has advanced moisturizing properties that hydrate and nourish the skin to make it smooth and soft. The fragrance is of classic cocoa and is comfortable when left on for longer durations. The Fake Bake Flawless Darker is one of our favorites on this list. 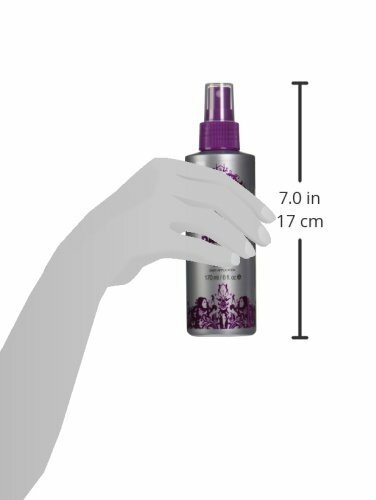 This product comes in the form of a spray that can be applied directly to the skin. Liquid form, this self-tanner lasts longer than others and gives a darker finish to the surface. It is effortless to use and also comes with a tanning mitt to evenly spread the product over your skin. It ideally takes about 4 to 5 hours to develop and has a lovely tropical fragrance that is pleasing to the nose. The Fake Bake Flawless comes with a built-in color guide to ensure there are no streaks while you are applying the spray. 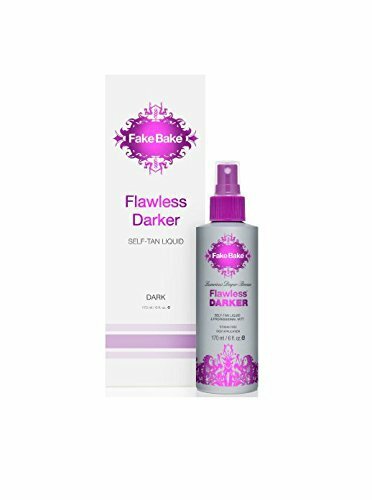 Fake Bake Flawless Darker is paraben free and works with individual skin tones to get optimal results every time. It lasts about 6 to 8 days post the primary application and comes in 6 fl. Oz or 200 ml bottles for reapplication. Slightly more expensive than the earlier products in this list, the convenience and quality of the tan is worth every dollar spent on the Fake Bake Flawless Darker. The Tan Physics True Color Sunless Tanner is formulated to provide a natural and luxurious looking tan without stepping out into the sunlight! This self-tanner has anti-aging and moisturizing properties to protect, hydrate, replenish, and restore your skin and make it glow all day long. 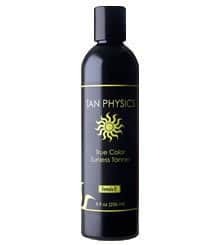 The Tan Physics True Color Sunless contains no streaks, no orange color, and no smell to ensure you get an excellent experience with this product. It also has a deep caramel color with a color guide to follow blank spots and promote even application. The Tan Physics True Color Sunless Tanner comes in an 8 fl. Oz or 236 ml bottle. The plus point is that after application if you do see a dark spot on your skin, you can rub it into the skin to displace it effectively. If you wish for a darker tan, you can reapply the Tan Physics True Color Sunless Tanner again the next day for a more in-depth tan. Slightly on the expensive side, the results last for 6 to 7 days after application, but the quality of the tan is flawless. 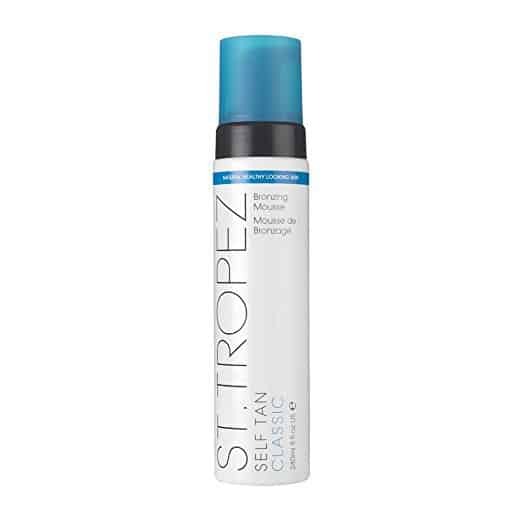 The award-winning St. Tropez Self Tan Bronzing Mousse is a tinted mousse that is exceptionally light-weight, easy-to-apply, and dries off in 60 seconds! This product is ideal for a short-term tan like a vacation, a night out or a holiday. The tan lasts 3 to 4 days and is perfect for people who do not want a long lasting tan. The color of the product is light brown with a foamy and light texture. One great thing about this product is that you can go about your daily chores without worrying that it will rub off on your clothes, towels, or bed sheets since it dries fast and is non-transferable. The St. Tropez Mousse has a light and freshly pleasant smell to it which remains the same throughout the day of the application. This product fades away gently without leaving any uneven spots of color on the skin. 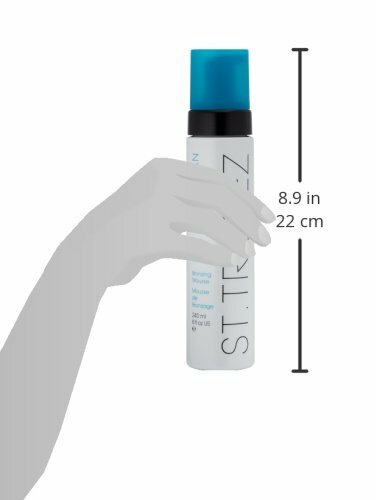 The solution used in the St. Tropez Self Tan Bronzing Mousse is hugely hydrating for up to 24 hours after application and lasts for another day or two. The Bronzing Mousse is paraben-free and sulfate-free. Gone are the days when people had to wait for the sun to get intense in the winters. With products like the ones listed above, you can have beautifully bronzed skin all year long. Before using any product always do a small patch test on your skin to ensure there are no adverse reactions. Products that can be used indoors and outdoors (activated with the sun) can become dark with prolonged exposure to sunlight. Buy your brand of choice with significant consideration to tan your skin and get a sun-kissed look. Suffering from nail fungus, it can deter you from working on your tan from embarrassment, read our top picks for nail fungus treatment.